People will spot these amazing Black & White Polka Dot Suspenders with no trouble this Halloween. 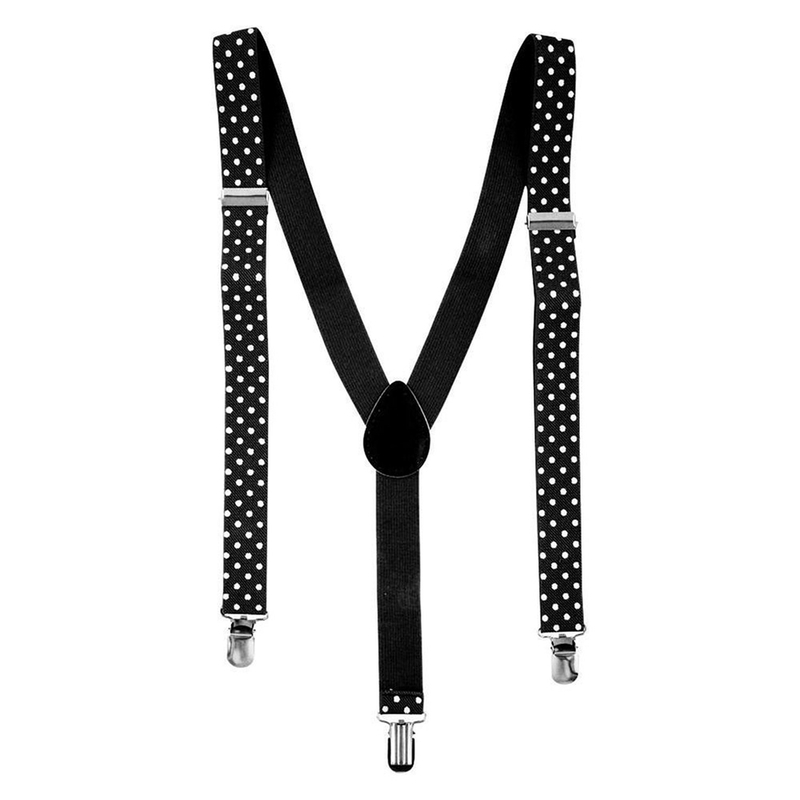 The y-style, black suspenders are decorated in white polka dots. They feature silver finger clips for securing and adjustable elastic bands for a comfortable wear. Accessorize your harlequin, masquerade, or 50s-inspired costume or outfit with these suspenders for Halloween or everyday wear.